An entertaining and fast game for two, which got its name after the video of the inventive rock band OK Go, from which many people learned about it. The musicians even developed a mobile application that helps to play it at a distance – though it is currently unavailable. The idea of the game is that after you count one-two-three each of the players utters a randomly chosen word. Then the goal of the players is to come to the same word with the help of consecutive associations. For the next one-two-three, both utter a word one way or another connected with the previous two and so on until the desired coincidence happens. Suppose that the first player said the word “home”, and the second – the word “sausage”; in theory, they can coincide very soon, if on the second move, after one-two-three, they both say “shop”. But if one says “shop” and the other says “refrigerator” (why not a house for sausage? ), then the game will continue, all the more so because you can’t repeat – neither the shop nor the refrigerator is suitable, and you have to think about something else. If the original words are far apart (for example, “curb” and “weightlessness”), then the gameplay becomes completely unpredictable. One of you lists three “facts” about himself. One of the “facts” should be false. Try to list the facts in an even voice, so as not to open a lie in advance. Another player is trying to guess which of the facts is false. The game is rather entertaining and will help to know any person from a whole other angle. This is a good opportunity to get to know a longtime friend in a different way. After the game, it will seem to you that you literally read this person and have known him for a hundred years. 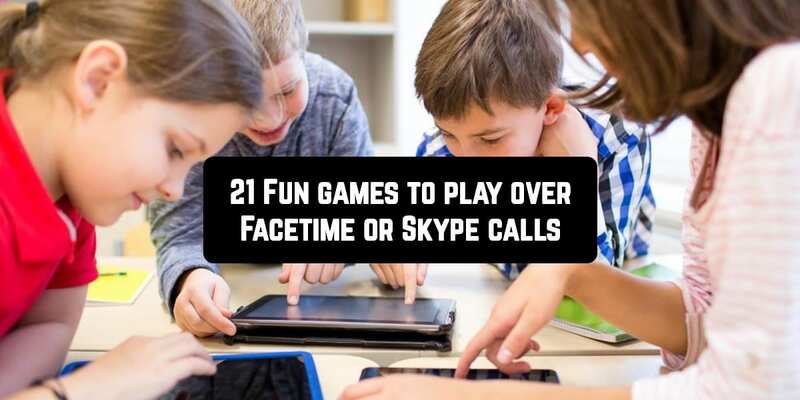 The game can be started by having a facetime conversation, and you can continue doing the same until you have finished asking 21 questions in total. Interlocutors alternately ask each other questions. Absolutely any questions: unexpected, personal, provoking, but most importantly, suggesting a detailed answer, and not just Yes or No. But at the same time, it’s worth remembering that the response move may be even more unexpected, and it’s not worth going over to completely forbidden topics. You can not answer in monosyllables. “Yes, no, I don’t know, I don’t remember” – they are not accepted, you need to give the most complete answers. By prior arrangement, you can enable the option “skip the question”, but only 1 time. One of the most creative games. This game is very popular among teenagers and children, but it is also played by adults and elderly people. Each player has the right to choose the “Truth” or “Dare” at will. If you chose “Truth”, then you will need to honestly answer any question. If you are a brave man and chose “Dare”, then you need to do the task. The game will be interesting only if the actions and questions are funny or even strange. Also, agree that it’s not possible to choose only the “Truth” many times in a row, or only “Dare”, otherwise you will soon become bored. This is a very popular game. The idea of the game – you need to make a chain of words on a given topic. The rules are very simple – the first player names a word on a given topic, the second player names a word which the first letter matches the last letter of the word named by the first player, and so on. Anyone who cannot come up with a word with the right letter for 30 seconds loses. The game will be interesting for those who are passionate about music. You take turns singing a melody of a song without words or turn on the soundtrack, and the opponent must guess the song’s name and the singer. For each correct answer, you are given one point. The player with the highest score wins. Players take turns giving hot facts about what they never did. There are no restrictions – from the banal “I have never robbed a bank” and “I have never been to France” to frivolous “I have never been in love with an inanimate object”. If the goal of the game is to win, then you can count the points. The leader will be the one who tried in this life more than the other, however, as a rule, the winner feels the one who stands on his own two feet stronger in the final. This is a very interesting game that gives you a test of your horizons. One player makes a statement. Any. For example, “Yesterday it was raining”. Or, “The flag of Alaska was created by a 13-year-old boy.”. The other player must say if this is true or false. After answering, it is his turn to invent a question. Questions can be very different and of different level of complexity, this game perfectly develops imagination and broadens the mind. In the world, there are many interesting, strange and funny facts that are hard to believe. And rightly so, because many of them are complete nonsense, but some are true, despite all their absurdity. For one game, you have the opportunity to give five wrong answers, after which the game will be over. The game will also end if the answer time ends. By the way, the time for each answer is 15 seconds. 20 questions is a classic game for two. One person thinks of an object, and another person has 20 attempts to guess it. This game is well suited for long conversations on the phone or Skype. Everyone plays 20 questions in his own way. Find out what rules your game partner adheres to and start. If you won (guessed the object for 20 questions), it’s time for revenge! Now it’s your turn to choose an object and your partner’s turn to guess. If you have not guessed the object for 20 questions, think over if you ask right questions and start over. Of all the word games that require acting, charades are probably the best known and most popular. Thus it requires only a webcam. One person is trying to explain a word. At the same time he is allowed to use gestures and facial expressions, dancing, jumping and grimaces; take any poses; show the word in whole or in part; nod or shake your head: “yes” and “no”. BUT it is forbidden to write and draw; pronounce syllables and letters (even without sound, with lips); show the letters in sign language. In the meantime, another player is trying to understand what he has in mind and makes suggestions. The game goes on until the player guesses the word. You can, by the way, agree on the time limits for guessing. After that, the players change places. By mutual agreement, players can guess both single words and phrases, proper names, phrases, and even sayings. The first player names any word, preferably short. The second picks up the word, rhyming with the first, and so on. Anyone who can not say a word a in rhyme gets a minus. The player who got three minuses loses. The game can be complicated, making it more entertaining. Try to write a poem from the rhymes sounded together. There is such a game, the task is to score 10 points, for example. You write in turn the facts about yourself, such that the interlocutor didn’t know before. Something unusual is desirable. Then, read them in turn. If the interlocutor says that this isn’t news to him, think up something more interesting, then you don’t get points. The game allows you to get to know each other better, because everyone, in an effort to win, will tell something completely intimate. Also well-known game. You should think anything. It can be the name of the film, famous person, subject, character, literary work, historical fact, phenomenon, etc. Another player needs to guess the word by asking questions that can only be answered with “Yes” or “No”. We all love movies – you can discuss them with friends, quote, ask “Do you remember …?”. Using this game, check your memory. You name a catchphrase from the film, wait for an answer for 2-3 minutes, if there is no answer, give a hint with another phrase, wait another 2 minutes, if there is no answer, give a hint again. If the film was guessed, then the person who guessed the previous film gives the next task. Word game, for which it is desirable to choose a word consisting of a large number of letters. So, you’ve chosen a long word. The task of the players is to make as many words as possible from the letters that make up the initial one. Players name words in turn, and should not repeat words one after another. A word can only be a noun. The possibility of using geographical names, names and special terms must be agreed in advance. The initial words must be as long as possible. Letters for each word can be used as many times as there are in the initial word, and no more. The first player names any letter from the alphabet. The next in turn must add a letter at the beginning or at the end, having in mind any word with such a combination of letters. Players thus continue to take turns extending the letter combination. The one who names the whole word or the one who cannot add a letter, meaning any word loses. The player can “bluff”, i.e. add a letter even he doesn’t know any words. In this case, there are two options: the other player can either ask the previous one to name the word, and if the player is unable to do so, he loses, or the other player continues to bluff further until someone finally requests to name the word. The ability to listen and memorize is the main thing in this game. You take turns to pronounce words either on a pre-specified topic, or just any. In this case, before you say your word, you must repeat all the previously named words. The one who cannot is given an attempt tone more time. If the player cannot repeat the entire row the second time, he loses. The first player names five words. The task of the second is to make a meaningful sentence in which all these words would be used. You can use not only nouns but verbs and adjectives. Or make not one, but five related sentences with selected words. Then it turns out a mini-tale. Sometimes the stories come out very funny! This is a math game. With its help, you can even train a child in math. Simply, at first, you need to make simple numbers, and then invent more complicated examples. The first player conceives the number. The second one suggests substruction (or adding) another number. The first player names the final result, and the second must say what number was conceived. It makes no sense to describe the rules of such a popular game. Yes, our favorite game is available on Skype as well. The mind-game with a lot of fun is here you can play with your friend when you are on a video call. 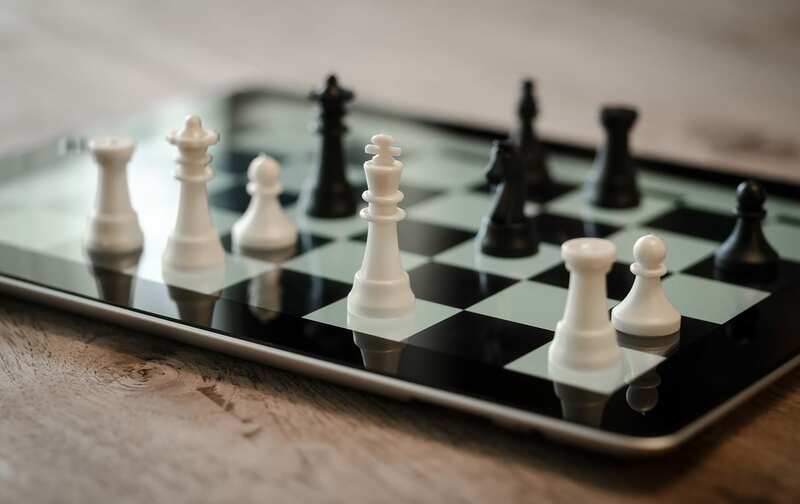 From match to match, the player trains computational skills and develops his own tactics of the game, focusing on the actions of the enemy. The ability to calculate your moves and actions for many steps forward will be useful not only in the board game but also in everyday life. The idea of the game is the same as it was. However, it became easier and more interesting to play thanks to the beautiful graphics, advanced gameplay, and mobility. All its trick is to correctly place your ships, that is, to arrange them so that the enemy could not quickly find and eliminate them. The one who first destroys the enemy fleet win, and to do this quickly (especially at first) is quite difficult. In sea battle for Skype, there is one distinctive feature that is missing even when playing on paper. You can show your opponent over what cell you have the cursor now. Accordingly, when the camera is turned on, you can try to guess from the face of the opponent whether there is a stone or not. Of course, it has no serious effect on the game but adds some fun. Note: To play sea battle and chess via Skype, you need to install a special application.